Places to visit in Jodhpur That Make Your Trip Exciting. How would you feel if first ray of sun greets you in the morning, not through the window of your home, but at the place where sun seems to “rise”? Jodhpur, the second largest city in the Rajasthan, famously known as the Sun City of India. 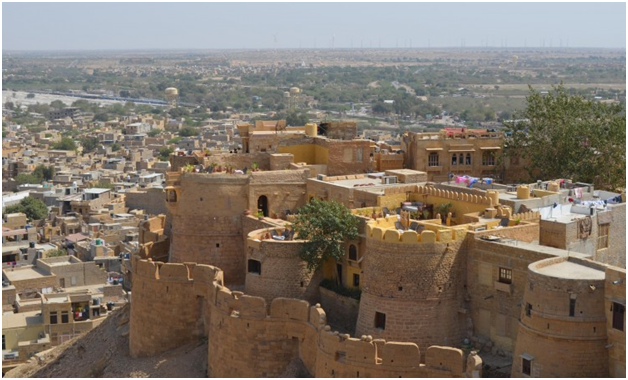 Jodhpur, founded in the year 1459 by Rao Jodha and the city got its name after him. Jodhpur is famous for its attractive and magnificent palaces and forts. Given below are the top 5 places to visit in Jodhpur that must be included in your itinerary. 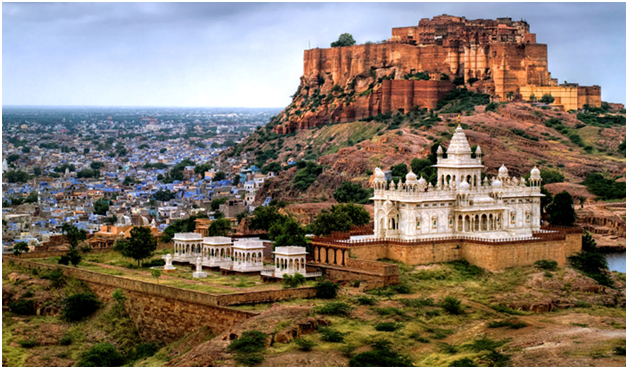 The magnificent Mehrangarh Fort is one of the largest forts in India. Built by Rao Jodha in the 15th century, the imposing fort stands magnificently 400 feet above the city. You can find the style of architecture which depict the various periods of India. The fort represents the symbol of power and provides a stunning view of the city. It is recently voted as ‘Asia best’ fortress by Time magazine. Completed in year, 1944 the splendid Umaid Bhawan palace was one of the last great palaces built in India. The palace is placed on the highest point of Jodhpur. The palace depicts the taste of Maharaja Umaid Singh. 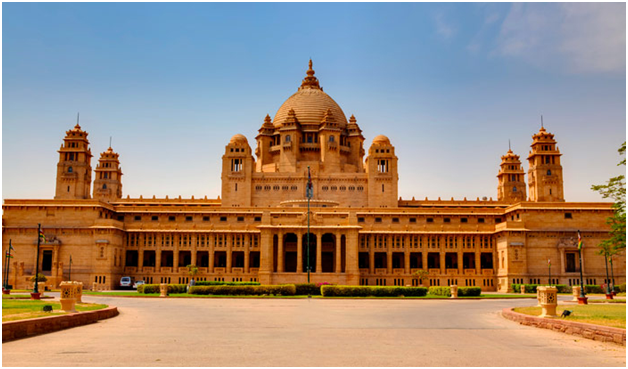 The marvelous Umaid Bhawan Palace reflects the mixture of Indian and European style of architecture. The imposing Jaswant Thada was built in the year 1899, to pay tribute to Maharaja Jaswant Singh. 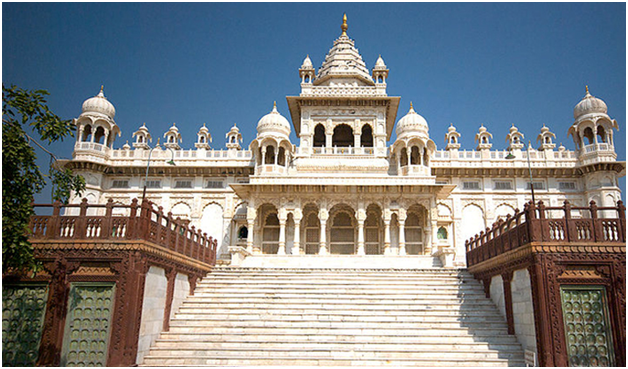 The wonderful marble construction of Jaswant Thada is enchanting. The walls of the palace recite the legend story of the Rulers of India, with the amazing portraits of the Rathore Rulers on the wall. The Center of attraction in this city is its temple that has gracefully stood the test of time. Various Jain temples, Surya Temple are beautifully constructed and design. This ancient town has numerous sand dunes. The Ranbaka hotel provides adventurous camel desert safaris and jeep to the Ossian city, which makes your trip more exciting. Mandore, belongs to the 6th century, attract the tourists in huge numbers. Inside a mandore garden there is a government museum, a ‘Hall of Heroes’ and a temple of more than 33 crore Gods. 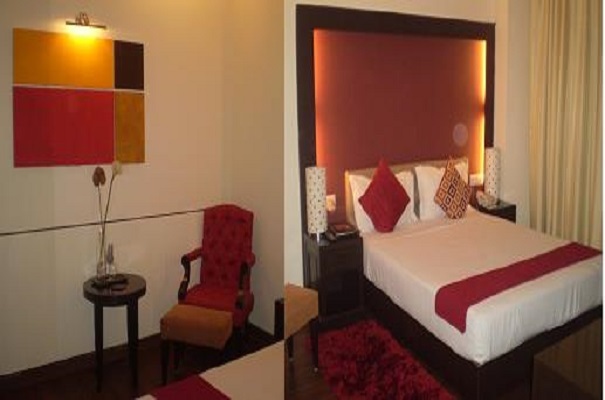 The Ranbaka hotel in Jodhpur offers an exciting visit to Mandore Garden. Famously Known as the “Sun City” and “Blue City”, Jodhpur is an amazing tourist place bring back the day of past. If you are excited about the things of past, mist visit Jodhpur, stay at Ranbaka palace and experience a comfortable and adventurous trip with your family or friends.